Weekly; published in New York city; founded and edited by R. Samuel M. Isaacs (Jan., 1857). Upon his death his son Abram S. Isaacs became editor (May 19, 1878). Its editorial and theological position was conservative. Under its first editor the paper took a conspicuous abolitionist position prior to and during the Civil war. From Jan. to Dec., 1879, a literary supplement, "Hebraica," was issued, to which such scholars as Bacher, Kaufmann, Rosin, Neubauer, and Gaster contributed. 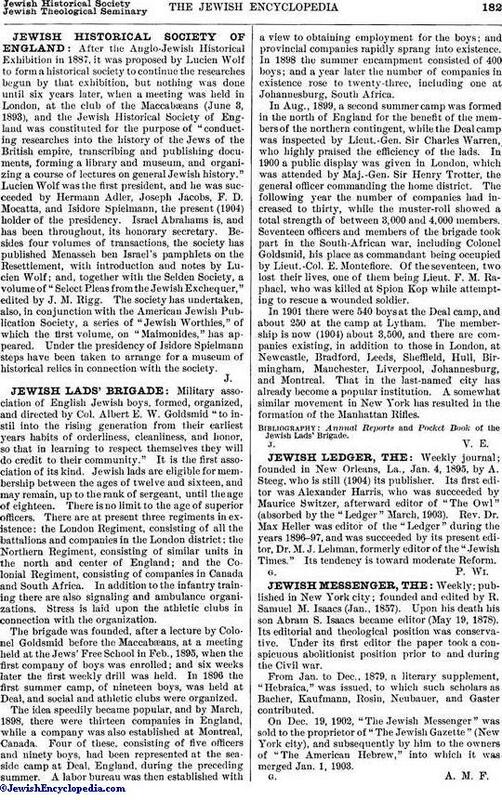 On Dec. 19, 1902, "The Jewish Messenger" was sold to the proprietor of "The Jewish Gazette" (New York city), and subsequently by him to the owners of "The American Hebrew," into which it was merged Jan. 1, 1903.